Happy new year sale：5% off over $65. Limited time offer. Happy new year sale：60% off, $5 off over $69. Limited time offer. Happy new year: $5 off over $59. $8 off over $89. $12 off over $139. $19 off over $209. 2019 is coming down to $6.9. 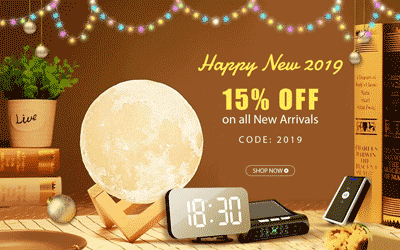 Happy new 2019: 15% off on all new arrivals. Happy 2019 new year! Buy 2 get 3rd 25% off sitewide. Limited time offer. $2 off over $40, $8.00 off over $80, $12 off over $120. Up to 85% off clearance .Limited time offer. Jusqu'à 85% de remise. Offre d'une durée limitée. Up to 50% off new year sale. Extra 10% off orders over $69. New year is coming soon. Special offer sale. Time from 12/26. $9 de réduction $79+, $7 de réduction $59+ Bonne année. Offre d'une durée limitée. Hasta 85% de descuento en liquidación .Oferta por tiempo limitado.